The health benefits of Nutmeg go back to the old Byzantine traders where it was a highly prized spice for its curative properties. 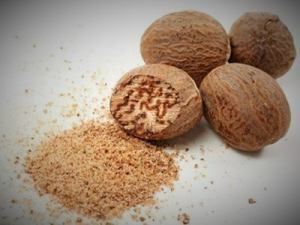 The origin of Nutmeg goes to the Moluccas Island also known as the Spice Island of Indonesia. It was so highly prized in the earlier days that war broke out between Portugal and the Netherlands. Right to the point where Nutmeg almost became extinct due to much destruction of the tree so the other would not have a monopoly on this sought after spice. Go Figure. Fortunately, Nutmeg survived and we are fortunate that we still have this not only as a culinary spice but also for the many health benefits of nutmeg has to offer. Some of which we will now discover now. One of the natural properties in Nutmeg is Trimyristin. This is responsible for helping to relax the nerves, that in turn assist to relax tired muscles and able to induce sleep. 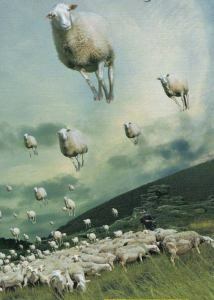 The benefit of this is that it can increase your sleep pattern and to insomniacs may help re-balance the sleep cycle. Word of advice nutmeg can to dangerous if taken in high quantities so if you are having trouble sleeping it does not mean to take a large helping. Here are a few tips to help and gain a more restful sleep. 1. For those who are used to having milk before going to bed, then you can Mix ½ teaspoon of powdered nutmeg with a glass of warm milk and some honey. Give it about 15-20 mins before heading off to bed. 2. For those who may not like milk or are lactose intolerant then you can add a spoon of honey with about the same amount as above and again give it about 15-20 mins before heading off to bed. 3. What, you don’t like honey? Then boil some water add either one crushed nutmeg or as above the same quantity, allow to tea to settle then strain and enjoy your tea and get ready for a relaxing and peaceful sleep. 4. One other method is to add nutmeg to your food (Be it solid or liquid) your choice and get ready to enjoy the benefits of peaceful sleep. Nutmeg can be dangerous if taken in high quantities, so if you are having trouble sleeping it doesn’t mean you need to take more. Over-use in quantity can create more problems than solving your sleep. This could be dryness of mouth, which would result in excessive thirst, anxiety perhaps even nausea. Nutmeg may react with certain medication, so if you are under or using medication that best to see your doctors and consult with them before trying these option. Remember those suffering from insomnia have other underlying reasons for the lack of sleep. Nutmeg is not the cure but can help get a better start to your issues with sleep. Seek professional help for your insomnia or reasons why you are having issues with sleep. Nutmeg is high in Potassium in fact 100 grams of nutmeg contains about 350 mg of potassium. Potassium is a major and vital mineral that plays an important role to help maintain balance within the body. 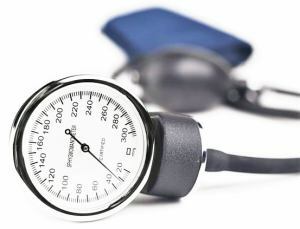 One such role is to relax the blood vessels that help to reduce the blood pressure. This will then help to lower any unnecessary strain on the cardiovascular system. Deficiency in potassium can lead to many issues, such as increased blood pressure, irregular heartbeat and can weaken muscles. 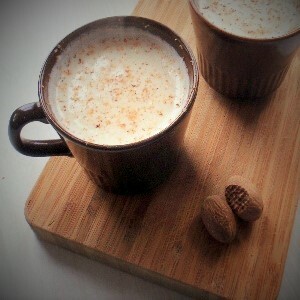 Nutmeg helps to relieve stomach pain such as aches, bloating, including helping rid of excess gas from the intestines. Other benefits include support in relieving diarrhoea and vomiting. It can also help to loosen stools when one is suffering from constipation. Halitosis, which causes bad breath, can be caused in many ways. These could be dental oral issues such as gum infections, poor oral hygiene. Alcohol, stress, even medicine can cause issues that may bring on bad breath. 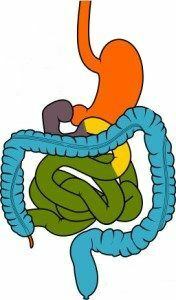 Acid and bile reflux from the stomach along with eating certain foods, such as onions, garlic, can bring on bad breath. Due to the antibacterial properties of nutmeg, the above causes can benefit with some nutmeg that will help to rid bacteria build up or recently present that leads to bad breath. Have you benefited from using nutmeg? Please comment below so others may benefit from your experiences and knowledge in the use of nutmeg.